As always my oldest daughter has helped me to draft this pattern. 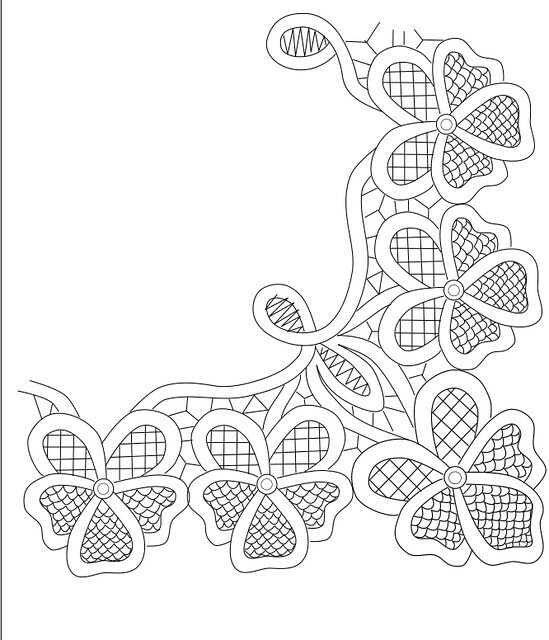 You will need to make several copies (four to be exact) of the pattern to get the entire doily on your fabric. There will be two more patterns to follow in the pansy theme one for a collar and one for a brooch to make for mother's day. This one takes the most cord 16 yards and 20 rings so I thought I would post it first. The collar is somewhere between 8-10 yards and 10 rings and lastly the brooch is less than a yard and two rings. Watch for them coming soon.